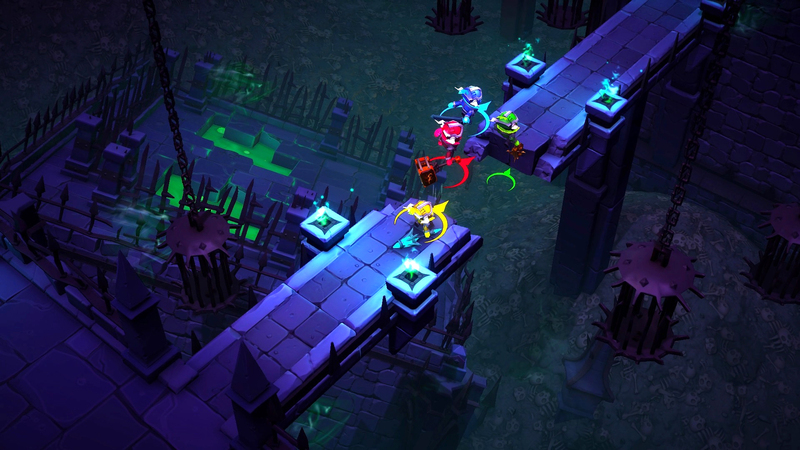 I've been playing a lot of co-op games recently, which are more often than not, some kind of dungeon crawl. 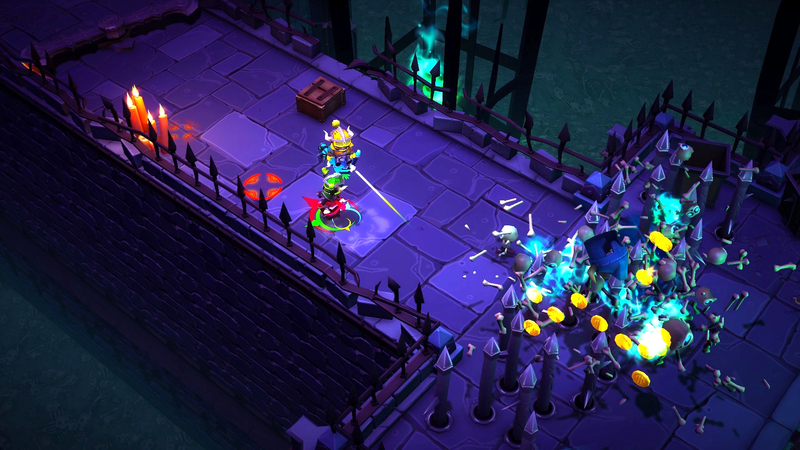 Despite playing dozens of hours in the last few weeks, it hasn't lost its charm, nor its entertainment value, so when I saw React Games' upcoming Super Dungeon Bros on the floor at PAX, I had to stop by to see what else I have to look forward to. The "bro" language threw me off at first, but I realized shortly that it was more a co-op mechanic than the expected entry in the game's lexicon. I was surprised at how well the combination of the rock and roll motif - You'll pick from characters with names like "Axl" and "Ozzie." 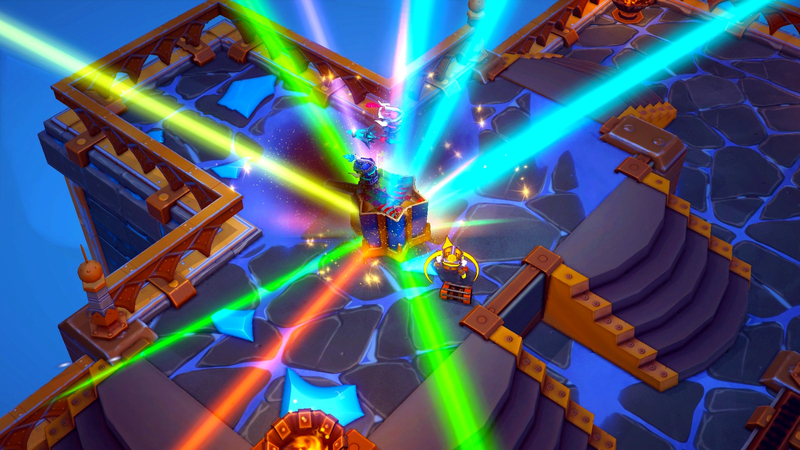 - and the bro-powers somehow works as a cohesive aesthetic for the game. 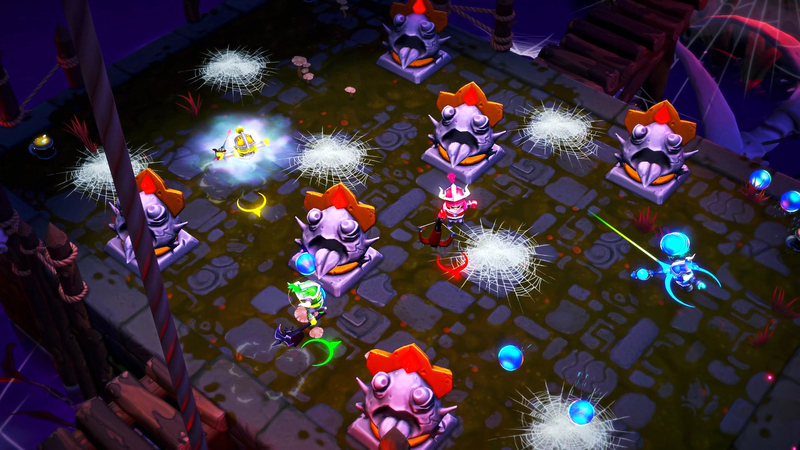 Super Dungeon Bros is all about teamwork, in as much as grabbing your teammates and hurling them at enemies or to trigger distant traps qualifies. Each character has a super move that charges up as you traverse the dungeon, and unleashes devastating combo moves when the time comes. 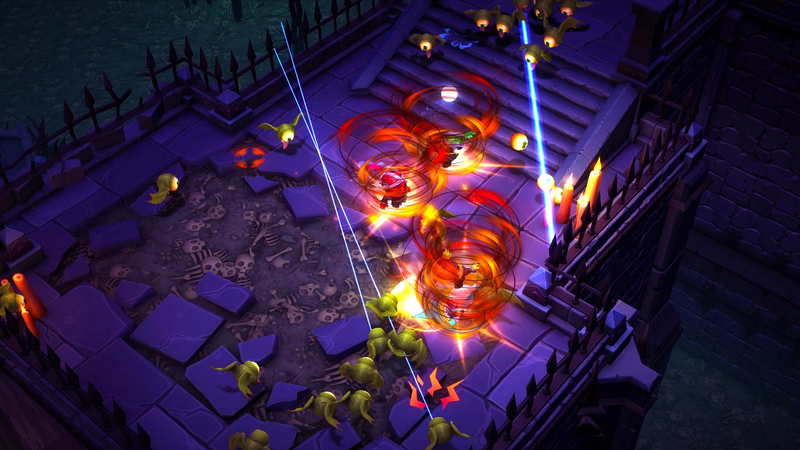 Bro-nado, for example, will spin all four characters around in the air, doing huge damage to nearby enemies. Mostly, though, you'll be hacking and slashing your way through the depths. At least until you encounter a boss. While I only saw one boss at the show, the encounter was notably well designed. It was more akin to a med-tier complexity MMO boss than your typical dungeon crawler. 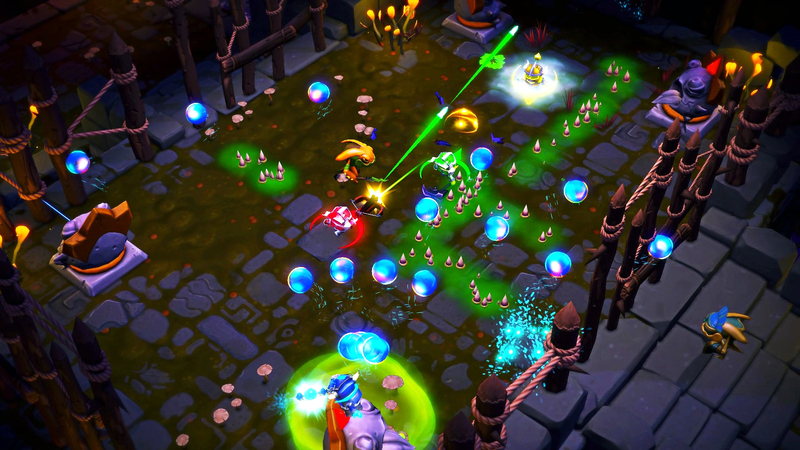 You've got all the regular boss patterns and minion spawns, but have additional elements, like objects that spawn, which you can ignore if you take the boss down quickly enough, but will otherwise always wipe the party with swarms of enemies, or just straight damage. I'm guessing the other players had some experience with this style and complexity of boss fight, since none of us had played the game before, but we downed the boss on the first try. The gentleman showing the game said we were the first group to do so that day, which we were all pleased to hear, whether or not he was genuine. There's one thing that almost all of the co-op dungeon crawlers I've played recently have in common; pixel art. I can appreciate retro art in games as much as anybody, but it's really nice to see options available. Not everybody that comes over to play games wants to geek out on old-school nostalgia, so having something modern-looking to play with them, while also getting my own genre fix, is something I'm looking forward to. 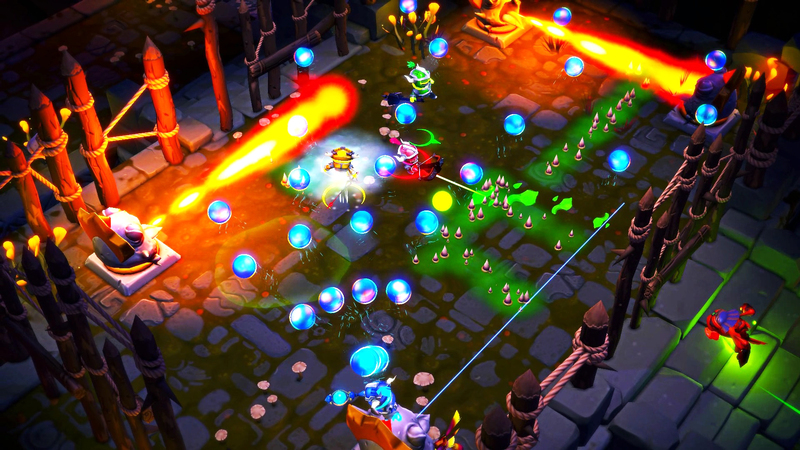 React Games is still working on Super Dungeon Bros, but is targeting a winter launch. 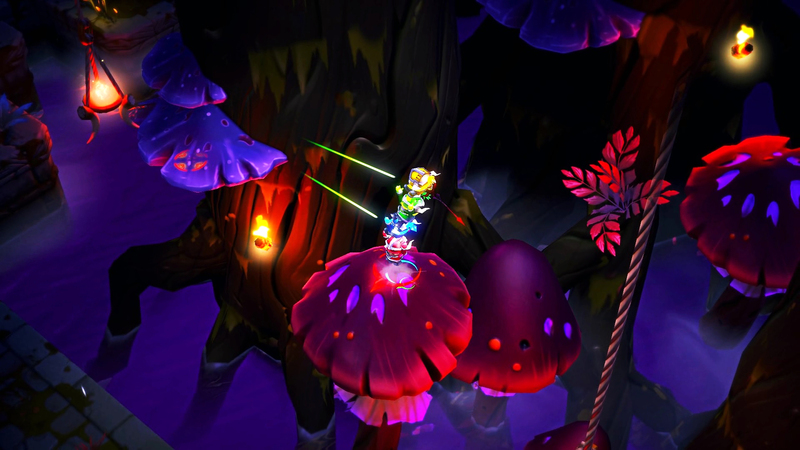 Release is planned for Xbox One, PS4, PC, and Mac.